Was Walter Sickert Really Jack the Ripper? Though the official identity of Jack the Ripper has never been determined, there are those who believe Walter Sickert, the Impressionist painter called the most talented British artist* between Joseph M.W. Turner and Francis Bacon, may be responsible. 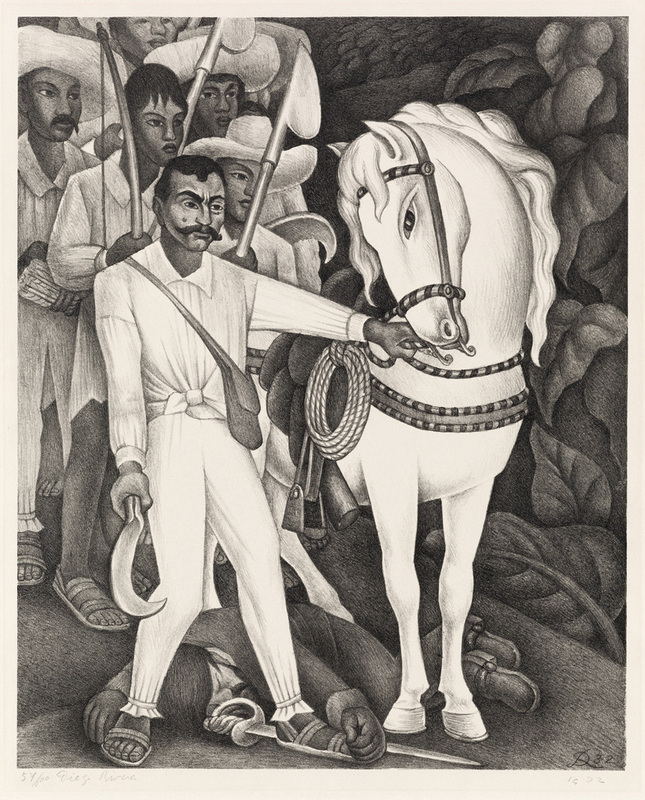 One of his works in our March 2 sale of 19th & 20th Century Drawings & Prints seems to lend credence to this theory. The Camden Town Murder (The Small Plate), 1908, is one of A Selection of Works From the Collection of Eric Carlson. It has not appeared at auction in the past 30 years. Like much of Sickert’s oeuvre, it depicts a subject that seems banal, but the work’s macabre title cloaks the scene in shadows. 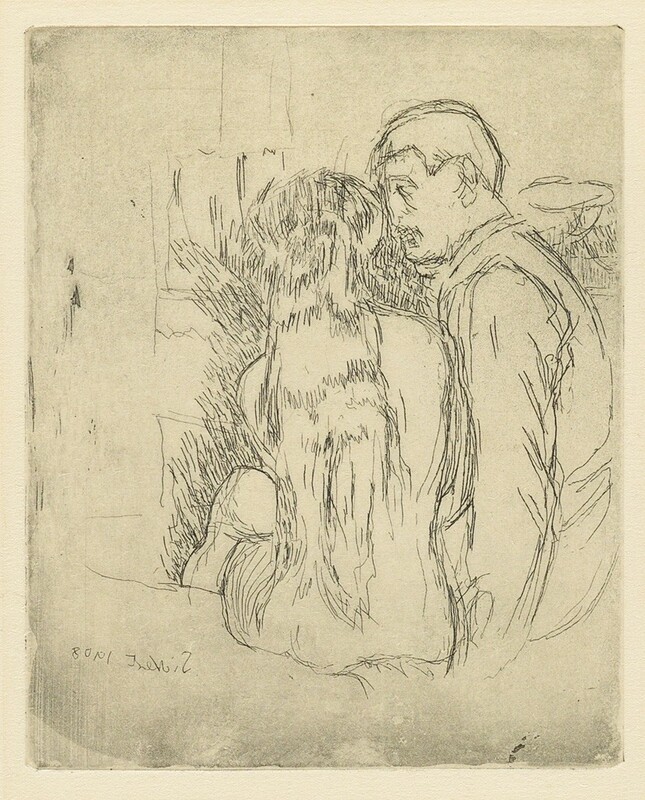 Lot 37: Walter Sickert, The Camden Town Murder (The Small Plate), etching and aquatint, 1908. Estimate $1,000 to $1,500. Jack the Ripper terrorized the London neighborhood of Whitechapel in the 1880s. 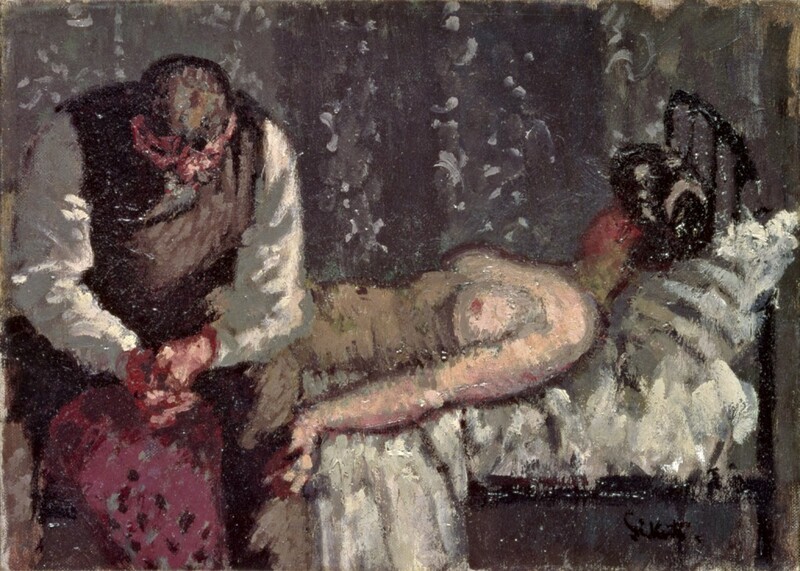 Sickert referred to the crimes frequently in his work, whether through his own fascination (or connection?) to the crimes or to create sensational works of art. In the neighborhood of Camden Town in 1907, a young woman was murdered in a similar way to the killings of the 1880s. Sickert’s imagination was seized by the crime, and in the following years recreated how the scene could have played out. The etching on offer is one of these works. An oil painting of the same subject (alternately titled What Shall We Do About The Rent?) is in the collection of the Yale Center for British Art. Walter Sickert, The Camden Town Murder, oil on canvas, circa 1908. 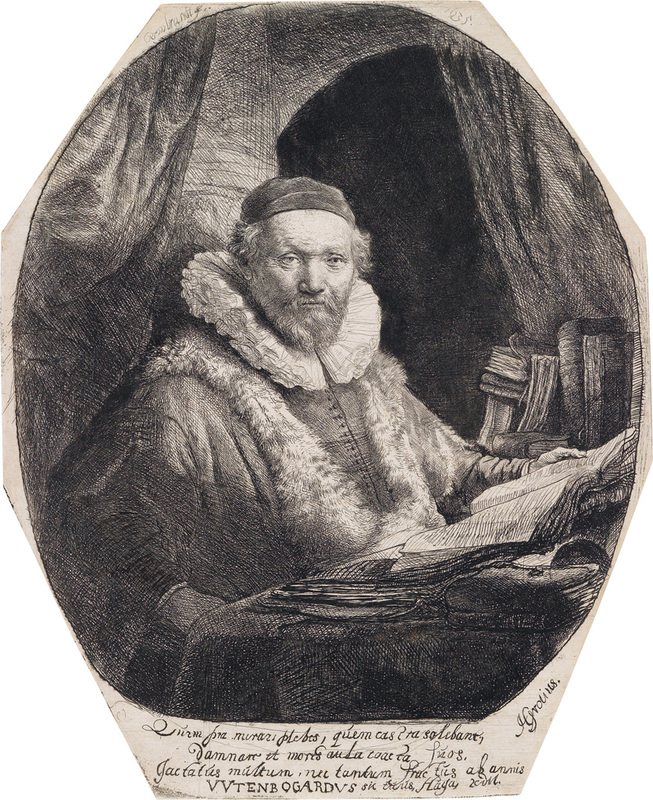 Courtesy Yale Center for British Art. Regardless of whether or not he was actually involved in the Whitechapel or Camden Town murders, Sickert was fascinated by them. He frequently painted scenes, real or imagined, of the crimes, and was said to have requested to stay in the room where the final Whitechapel victim was killed. 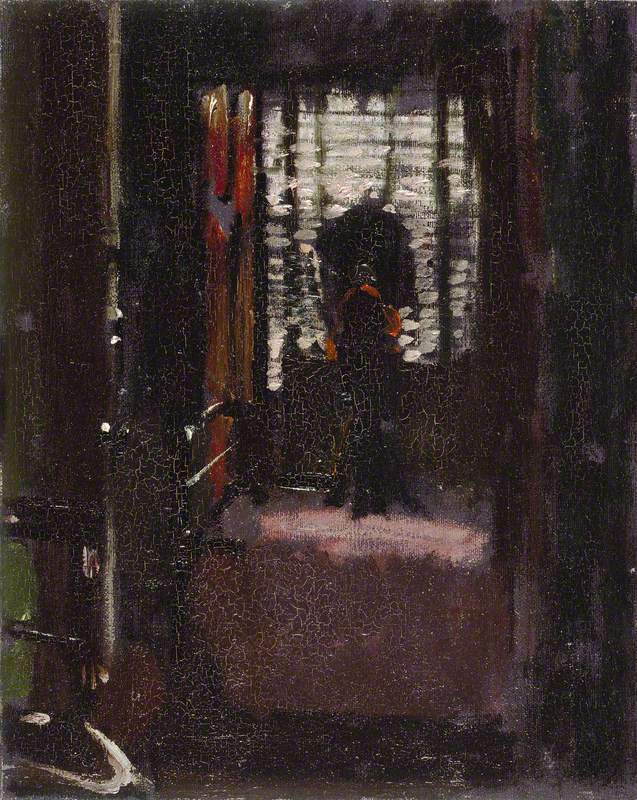 Walter Sickert, Jack the Ripper’s Bedroom, oil on canvas, 1906-07. Sickert embarked on his artistic career in earnest when he met James A.M. Whistler in London in 1879 and began to study under the master. Whistler would frequently send his student out to scout locations for his etchings, such as Exeter Street, circa 1886-88, below. Sickert was inspired by the destitute areas of the city and was criticized by his contemporaries for his “vulgar” works. 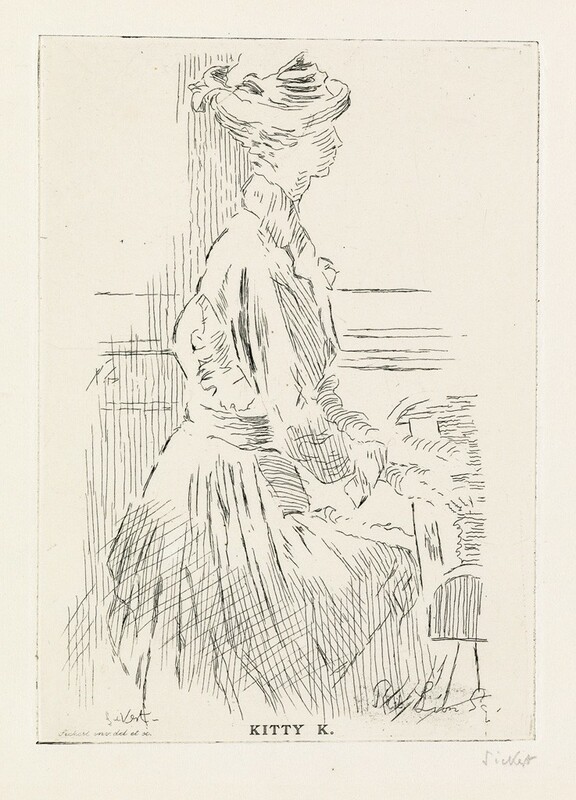 Lot 103: James A.M. Whistler, Exeter Street, etching, circa 1886-88. Estimate $20,000 to $30,000. Believers in the Ripper / Sickert connection have pointed out that even in works with innocuous titles, Sickert seems to obliterate women’s faces. 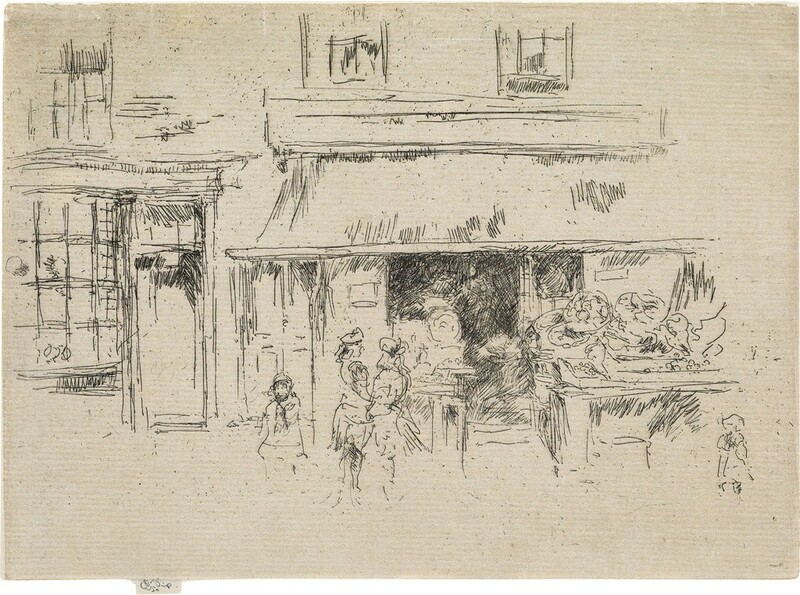 The etching of Kitty K., Red Lion Square, circa 1915, is a good example of this practice. Lot 208: Walter Sickert, Kitty K., Red Lion Square, etching, circa 1915. Estimate $1,000 to $1,500. More than 100 years later, the crimes will likely never be solved and Sickert’s involvement will never be solidified. Whatever your beliefs, Sickert’s work offers an intoxicating glimpse into the lives of London’s citizens at the turn of the last century. Browse our full catalogue for more.